If you're a fan of pink and/or Dirty Dancing, today is your moment. Each month, members of the Celestial's Stars Facebook fan group vote on an inspiration image from a classic movie and this month it's all about the pinks! Be My Baby is a gorgeous blue based pink creme, giving hints of mauve undertones. The finish is luscious and smooth, like there's a tiny bit of jelly to the finish. I thought this colour was super flattering on me, not something I think with pinks very often! The formula was really easy to work with, building up to rock solid opacity in three thin coats. It self levelled easily on it's own, and I've finished with a fast dry top coat for my swatches. Hungry Eyes is a magic highlighter pink jelly packed with colour shifting flakes. I was worried it looked a little murky in the bottle but on the nail it just glows! I'm really into colour shifting flakes being used in jellies (says the long time jelly fangirl) and I love the contrast of the dark flakes and vivid jelly. Again I was loving the formula, the flakes glide on the nail as if they weren't even there and the base is a great consistency. The jelly is sheer to allow for a great deep finish, but I found it was opaque enough for normal wear at 3 coats. I definitely recommend wrapping your tips (something I avoid doing when my nails are short) - do as I say, not as I do! Finished with fast dry top coat. 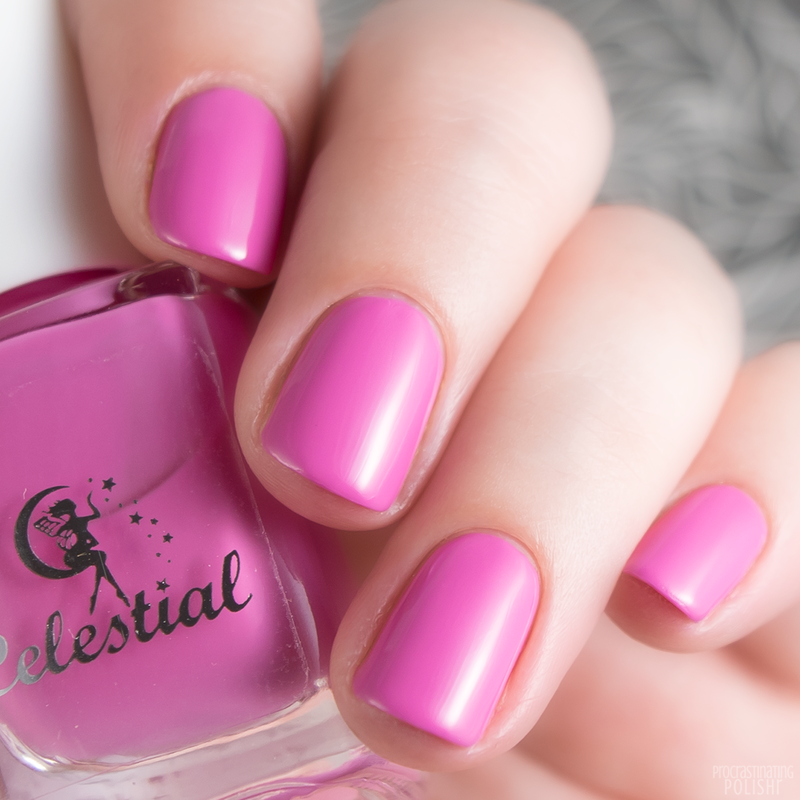 There you have it - all of the incredible releases from Celestial Cosmetics for March! New releases for March 2017 (including the four shifty shimmers and two sparkling jellies) are available to purchase right now! 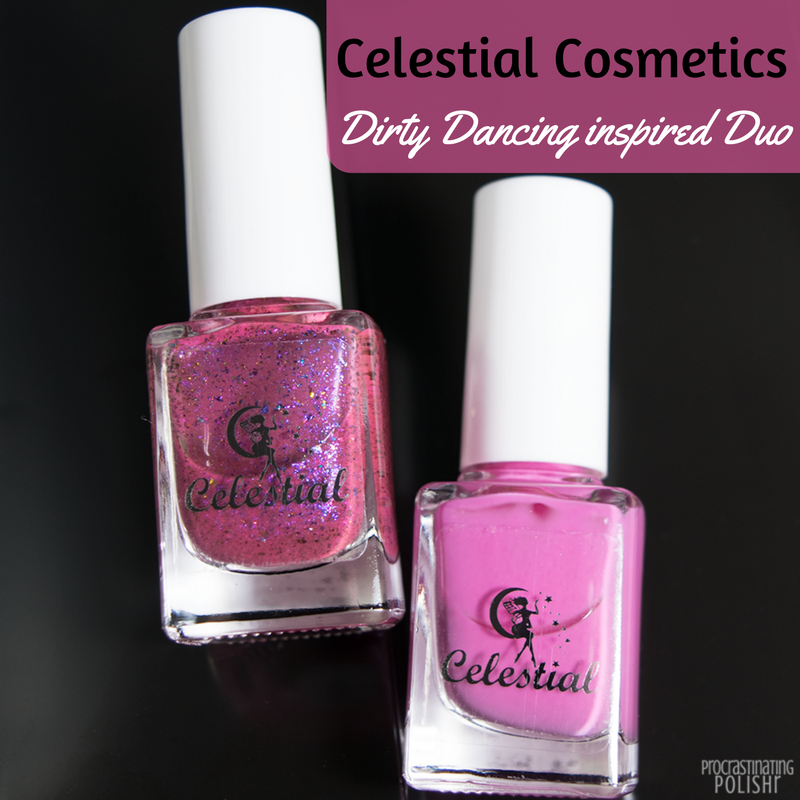 Find Celestial Cosmetics on Facebook, and join the Celestial Stars fan group!